I know many of you have heard somewhere from somebody, (whether you’ve read it on a fertility forum or you’ve Google’d the question itself) that a OPK (Ovulation Predictor Kit) can possibly also be used as a HPT (Home Pregnancy Test) So just how true or untrue is that theory? Maybe you’re also wondering how that’s even possible? If you’re tracking your Cycle each month with your BBT (Basal Body Temperature) CM (Cervical Mucus) and CP (Cervical Position) – You’re more than likely aware of when (Post Ovulation or Days Past Ovulation) it would be a safe bet to receive a reliable result on a HPT. HCG (Human Chorionic Gonadotropin) is the hormone that secretes once the fertilized embryo burros itself and attaches to the uterine lining. HCG reacts with the chemicals on the antibody Strip, and when the Dye on the Test runs over it – if HCG is detected the Line will react and appear with usually a Pink or a Blue color. LH (Luteinizing Hormone) is a hormone that flows throughout our Body all the time, and increases just days before Ovulation. Some women opt to use a OPK to detect their peek, fertile time along with BBT, CM, and CP. A OPK works much the same as a HPT (except for the fact that in order to yield a true positive result the Test Line must be equal to or darker than the Control Line). LH and HCG are also very similar in structure, as they are both glycoproteins. They both consist of a protein with a sugar element attached to it. Proteins can be broken down into chains of (Amino Acids) – they can be broken up into two units or chains called, “Subunits,” one called (Alpha) and the other known as (Beta). HCG’s alpha subunit is identical to the hormones LH, TSH, and FSH which are all produced in the pituitary gland. I myself have gone through a few cycles where I’ve gotten positive OPK results towards the end of my cycle. This was out of my own personal collection. I had 13 days of straight, blazing positive results so I tested with both a OPK and HPT to rule out that possibility. As you can clearly see, it came out Negative and I was not Pregnant. So that squashes that theory! MULTIPLE POSITIVE OPK RESULTS IS NOT A GUARANTEE THAT YOU ARE PREGNANT! 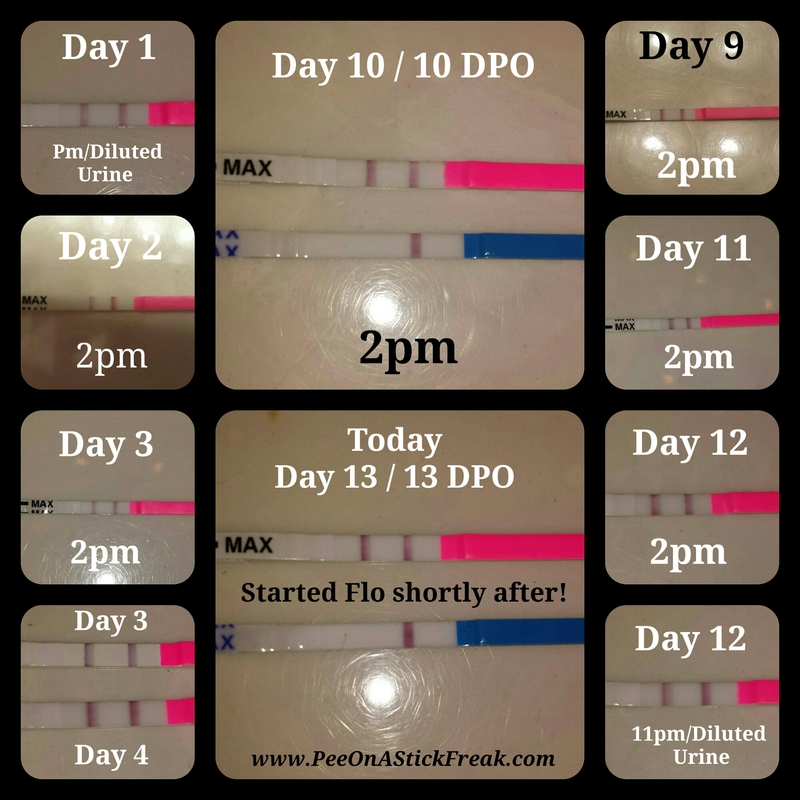 This is a whole cycle, where I got multiple positive OPK results and did not end up being Pregnant. There are always other reasons as to WHY that can happen, and I always highly recommend going to your Primary Care Physician to get some blood work done, get your levels checked and Maybe find out what could be the cause of it. Not to say that you may not be Pregnant, but a lot of over-the-counter OPK’s have a lower sensitivity in order to detect the surge which can be anywhere from 30-100 mlU depending on the brand! There are many HPT Sensitivities that are indeed much higher! Some can detect as low as 6.5 mlU! 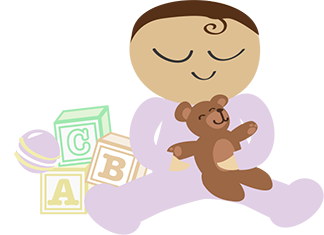 So to an extent, it would make sense that you could receive a positive result using a First Response Early Result Midstream Test long before testing positive on a OPK. This OPK did detect the HCG and the Test Line was incredibly much darker than the Control Line! BUT – (the friend who donated this urine sample) was much further along in her Pregnancy and her HCG levels were a lot higher! Can you detect an (Early Pregnancy) using a OPK? Possibly. It just depends on the sensitivity of the Test. They do make Test Strips nowadays with as low as 10mlU, which very well could! But relying on the average 30-40mlU lower sensitivity Test probably will not before you could Test positive with higher sensitivity HCG Test Strip or Midstream HPT. Read here to see the different HPT (Test Sensitivities) by Brand. Here is a more in depth VLOG Experiment I did recently testing out that theory! In my opinion it is possible to detect a Pregnancy using a OPK, but honestly if you’re suspecting you might be – I would highly recommend following it up with a higher sensitivity HPT, (or better yet a Blood Test done at your Obstetrician’s office) just to confirm it.